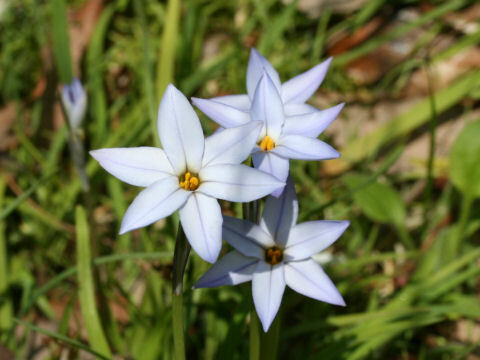 Spring starflower (Ipheion uniflorum) belongs to Liliaceae (the Lily family). 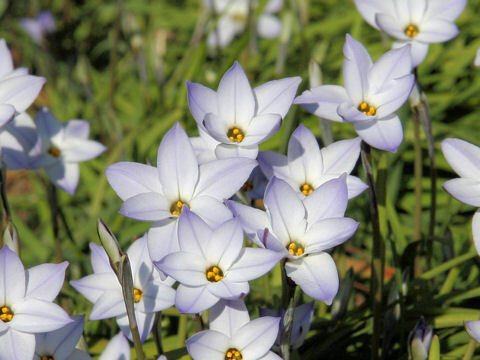 It is a perennial herb that is native to Argentine and Uruguay. 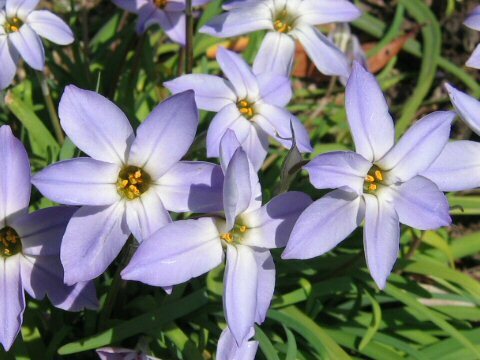 The herb was intriduced into Japan as an ornamental plant, though nowadays it is naturalized widely in so many places. The leaves are broad linear and creeping on the ground. 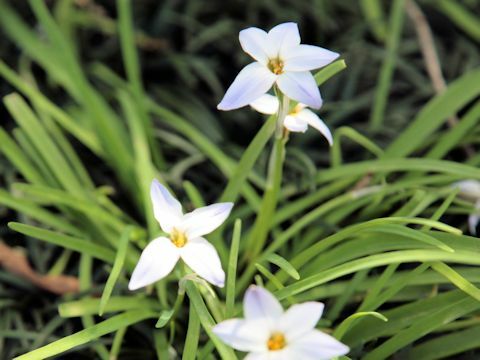 The leaves and bulbs have leek-like smell. 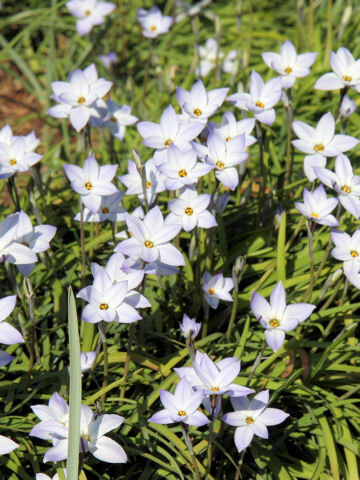 The flowers are bluish-white and bloom in spring. 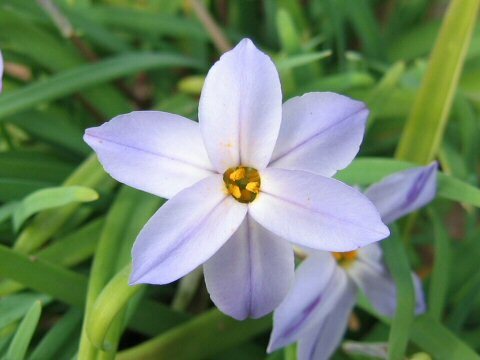 The flower has three outer tepals and three inner tepals.